Experience culinary like you've never experienced it before. We've selected a variety of fun, culinary classes sure to challenge the chef in you. Register for one or more of these classes and bring a friend! All classes are held at UCA Downtown. Contact us for more information 501.450.3118 or outreach@uca.edu. 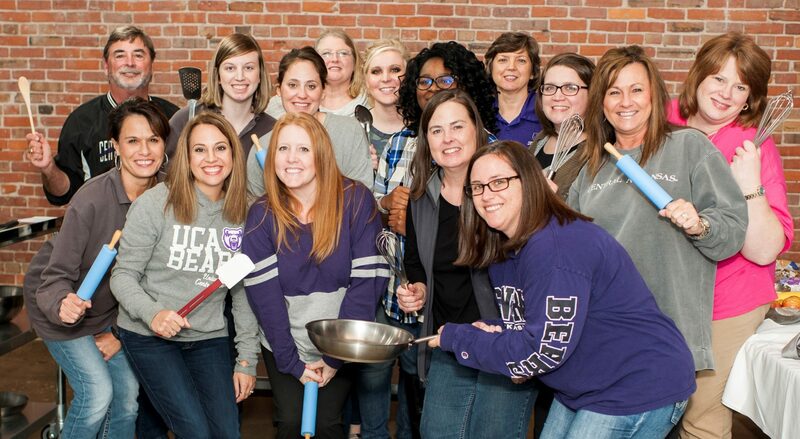 Get out of the office and into the kitchen with a unique and fun team-building opportunity through UCA Outreach! The secret ingredients to a highly effective team are cooperation, communication and creativity. UCA Outreach will work with your organization to customize a program and menu that accomplishes your team building goals. This culinary challenge allows organizations to take team building to a new level! The culinary exercises allow groups to explore their creative side by making delicious dishes, but most of all teams will (1) enhance communication, (2) increase creative thinking, (3) improve time management and productivity, (4) build teamwork and trust and (5) strengthen collaboration and planning skills. Re-energize your team today! Click the register button to fill out the Culinary Team Building Challenge Interest Form. Call 501-450-5275 or email ecooper1@uca.edu for more details. 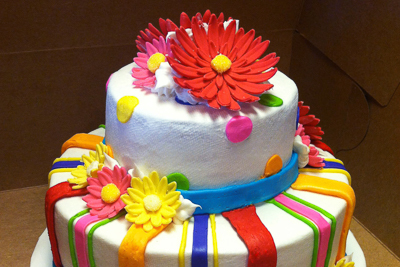 Students will learn advanced skills like tiered cakes, Gum Paste and Fondant 101, Bow Loops, Basic Principles of Floral Cake Design and more. Students will need basic fondant/cake decorating tools, which can be purchased at local hobby and craft stores. Supply list will be provided. Have you ever had a steak so tender it cuts like “butta”? 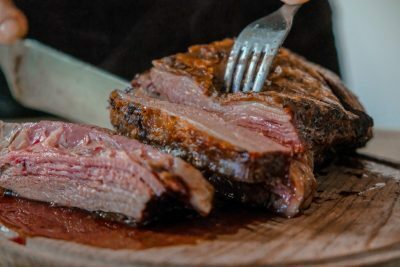 Spend the evening with our expert, Chef Brandon Douglas, to learn how to find the best cut of meat and how to properly baste a steak. Of course, the perfect steak dinner is not complete without the perfect potatoes. You may arrive as an amateur, but you will leave as a master of steak. We’re inviting your kiddos to get OUR kitchen messy and bake treats for Mom! 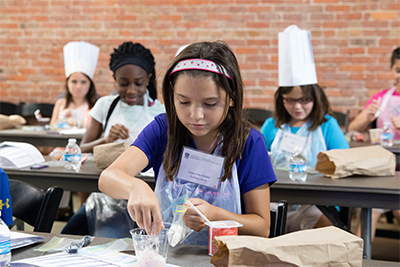 Bring your young chefs to UCA Downtown to learn how to bake and decorate delicious cookies. 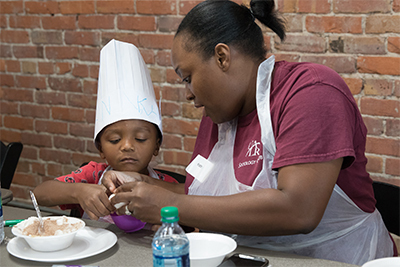 Kids will work together and learn to make cookie dough, royal icing and construct creative confections exclusively for Moms to enjoy! NEW! Cubs in the Kitchen: Summertime Snacks! Afternoon park trips, expeditions to the swimming pool, awesome water parks, looooong car rides ... the season will be here before you know it! Big bears and lil' bears will work together to cook delicious treats and leave with great snack ideas for these special summer moments. Yay for summer! 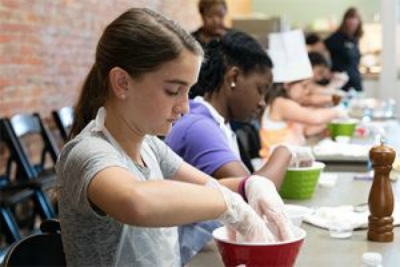 This three-day culinary camp for kids ages 8-12 is back by popular demand! This summer, Young Chefs and Mrs. Tiffany will explore the five food groups. Each day your child will learn about each food group and explore innovative ways to incorporate them into their diets. The week will be packed full of fun, tasty recipes and your child will enjoy every minute. It’s both educational and edible...win-win!